The most versatile lectern caters to multiple users in a variety of environments. The convenient pneumatic foot pedal swiftly and quietly adjusts the height between 28″ - 42.5″, allowing users to comfortably sit or stand. 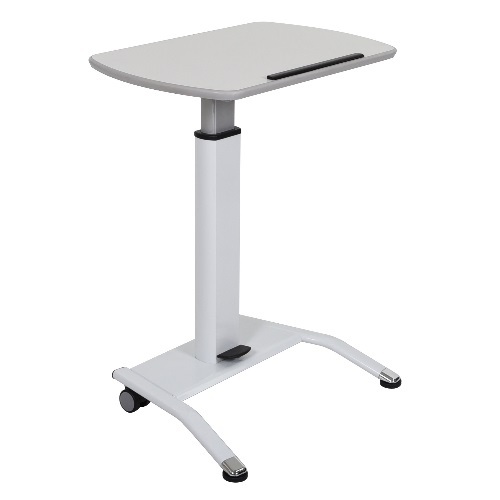 When the lectern is used for formal presentations, the tabletop easily tilts and transforms into a presenter’s shelf, or the tabletop can also remain flat to be utilized as a standing/sitting workstation.